Snowflakes Brushes - Free Photoshop Brushes at Brusheezy! Yay! I'm giving you Christmas gifts before Halloween :D I now it's early, but you'll need some time to create your awesome winter designs. 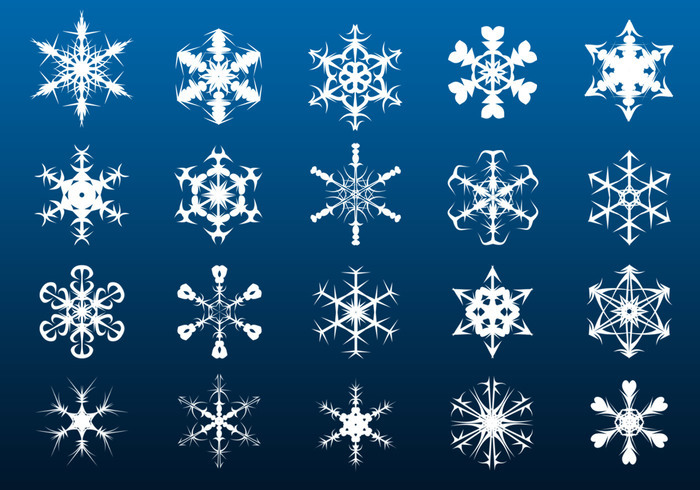 This set contains 20 big snowflakes. Happy Snowing! How do I use them using PhotoShop CC ? I love your license agreement! I solemnly swear not to use these brushes in any violent, abusive or offensive way. Only for the purposes of good, informed, intelligent design. You rock!! Thank you whole heartedly! I love the brushes I get from you. They have helped me a lot. Thank you so much. Oh! This is a huge help to me! THANK YOU!!! wow I like these brushes! every snowflake is nicely done, I'll definitely use these! Thank you for creating them! I am having trouble.... I have Photoshop CS4 and downloaded the file - when I click on the file in the folder, nothing comes up. Please help! thanks! it's so good for make a Christmas card! Wow! Just started a direct mail piece today for Christmas. Thanks so much. Thank you so much! I love anything Christmas-y!! Thanks for this. Put them in FLASH and watched them melt. Beautiful snowfakes! Thanks so much! brill - thanks so much! thanks for sharing this.....nice work. These are beautiful and add a nice touch to the cards I am designing - thanks!